More than a year has passed since the UK voted for Brexit. This column analyses the short-term fallout of trade in goods due to potential changes in trade policies. It argues that if the UK fails to secure a new trade deal with the EU and must face tariffs with no preferences, total UK's exports to the EU would drop by at most 2%. The impact is small because the EU's import demand for UK exports is fairly inelastic, especially for products that that may face higher tariffs. More than a year has passed since the fateful Brexit vote, when the majority of the British voters chose to leave the EU. Contrary to experts' advice on the would-be catastrophic collapse in trade (Baldwin 2016, Dhingra et al. 2016), the exports of the UK to the EU have in fact increased by 2% since July 2016 according to Eurostat. While the full impact of Brexit is yet to show, particularly because the UK has not yet officially left the EU and thus currently still enjoys tariff-free access to the EU market, there are reasons to be optimistic even if the divorce is finalised. In a recent paper, we analyse the short-term fallout of trade in goods from Brexit due to the potential changes in the trade policies of its main trading partners (Kee and Nicita 2017a). We construct an overall trade restrictiveness index (OTRI) (Kee et al. 2008 and 2009) for the UK's major trading partners. The OTRI summarises the trade policy stance of an importing country, taking into account the size and responsiveness of imported products facing tariffs and non-tariff measures (NTMs). The responsiveness of imports is measured using the estimated bilateral trade elasticities from Kee and Nicita (2017b). In that paper, we also provide the ad valorem equivalent (AVE) estimates for the NTMs. Our results show that if the UK fails to secure a new trade deal with the EU and must face tariffs with no preferences, total UK exports to the EU would drop by at most 2%. The impact is small because the EU's import demand for UK exports is fairly inelastic, especially for products that may face higher tariffs. To demonstrate the results, we first look at the export profile of the UK. Figure 1 presents the time series plot of UK exports by destination country from 2000 to 2015. The EU is by far the biggest destination market for UK exports, even though its importance has steadily declined over time from about 60% in 2000 to 44% in 2015. The US has absorbed about 15% of UK exports throughout this period, while China gained from 2% to close to 10%. 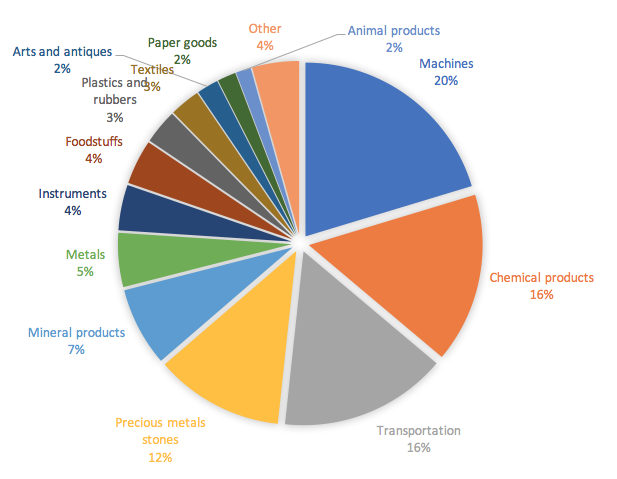 Figure 2 presents the export profile of the UK by sector. Machinery, chemical products, and transportation jointly accounted for more than half of UK export in 2015. Table 1 presents some summary statistics that capture the trade policies of the UK's main partners. Neither the US nor China currently give tariff preferences to the UK. Products from the UK enter the US and China facing tariffs with no preferences. The EU, on the other hand, gives full preference to the UK's exports under the EU Single Market arrangement, so products from the UK enter the EU with no tariffs. Table 2 presents the OTRI of the UK's main trading partners. For the EU, the import-weighted average tariff is 3%, while the import-weighted AVE of NTMs is 3.4%. However, given that the UK is currently part of the EU Single Market, the OTRI in the EU facing UK exports is 0. Both the US and China impose tariffs on UK exports. For the US, the import-weighted average tariff is 1.2%, while for China it is 5%. When factoring in import demand elasticity and AVE of NTMs, the OTRI of US and China facing UK exports is 0.5% and 2.4%, respectively. Table 3 presents the potential trade impact of Brexit in the short run. Here we assume that no new trade agreements will be signed between the UK and its partners, so UK exports will face tariffs in all markets. For the US and China, nothing will change in terms of tariffs and NTMs, so the potential trade impact is zero. For the EU, moving to tariffs will lead the OTRI to increase to 0.93%, which may cause trade to decrease by almost 2%, which is equivalent to a loss of $3.14 billion. The short-term disruption in trade due to trade policy is likely to be small. The OTRI of the main partners is low, even after factoring in possible compliance costs of NTMs facing the UK exporters in these markets.1 The bottom line is that, without any new trade deals, UK exports to the EU may drop by less than 2%, while UK exports to the US and China may not be affected by Brexit in the short term, before any relocation adjustment of foreign direct investment. It may be surprising that the short-run trade impact of Brexit is not larger. This is because the OTRI can be decomposed into the sum of the import-weighted tariff (and AVEs) and the covariance between tariff (and AVEs) and import demand elasticity.2 For the EU, the covariance between tariff and trade elasticity is negative, meaning higher tariffs are placed on less elastic products (such as transport equipment, plastics, foods, and apparels), while lower tariffs are on the more elastic products (such as pulp and paper, scientific instruments, and precious stones). This negative relationship between tariff and trade elasticity causes the EU's OTRI to be lower than its import-weighted average tariff, which leads to a smaller trade impact in the short run. It should be noted that the above analysis does not consider some important aspects, such as services trade, ‘passporting’, and the role of London as a financial centre post-Brexit, or immigration and the social aspect of Brexit.3 The long-run impact of Brexit could depend on whether the UK can continue to retain and attract foreign direct investment. Recent firm survey evidence from Bloom and Mizen (2017) suggests that while most firms expect a negative impact of Brexit on sales, investment, and costs, only larger firms and those that are more exposed to international markets are likely to think that they might move part of their business abroad. Thus, there are reasons to be optimistic post-Brexit. Baldwin, R (2016), Brexit Beckons: Thinking ahead by leading economists, A VoxEU.org eBook. Bloom, N, and P Mizen (2017), "New survey evidence on the impact of Brexit on UK firms," VoxEU.org, 5 October. Dhingra, S, G Ottaviano, T Sampson and J Van Reenen (2016), "The consequences of Brexit for UK trade and living standards", CEP working paper. Kee, H L (2007), "Book review of James Anderson and Peter Neary, Measuring the Restrictiveness of International Trade Policy", Journal of International Economics 73(2): 434-438. Kee, H L, A Nicita and M Olarreaga (2008), "Import demand elasticities and trade distortions", Review of Economics and Statistics 90(4): 666--682. Kee, H L, A Nicita and M Olarreaga (2009), "Estimating Trade Restrictiveness Indices", Economic Journal 119: 172--199. Kee, H L, and A Nicita (2017b), "Trade Fraud, Trade Elasticities and Non-Tariff Barriers," mimeo. Mulabdic, A, A Osnago, and M Ruta (2016), "Deep Integration and UK-EU Trade: Before and After Brexit", mineo, World Bank. It should be noted that NTMs consist of many different areas, including standards conformity and assessment, certification requirements and more. Currently UK firms exporting to the EU satisfy all their NTMs requirements. We assume that there are no further compliance costs associated with the existing NTMs should the UK leave the EU. Kee (2007) shows that the OTRI equals import weighted average tariff and the import weighted covariance between tariff and trade elasticity. For the impact of Brexit on services trade, see Mulabdic et al. (2016).